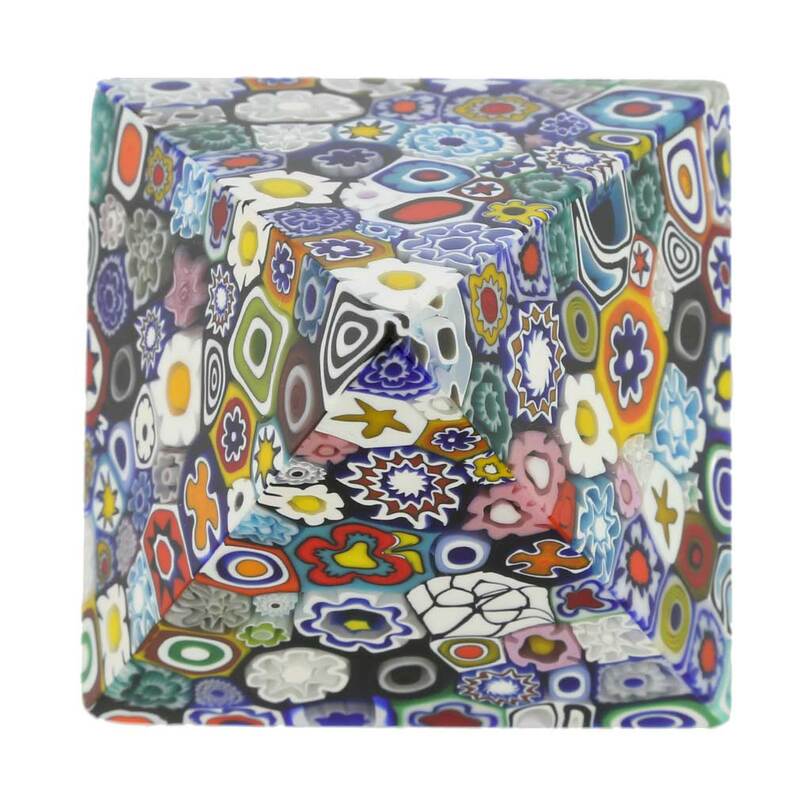 This gorgeous Murano pyramid paperweight is showcasing the most popular Murano glass technique - Millefiori (translated from Italian as a thousand flowers). 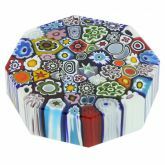 Ever since Murano Glass masters uncovered the secret of this ancient glassmaking method in the 15th century, they have been perfecting it and using it to create ever-more-complex designs and shapes, ultimately achieving worldwide fame. This very complicated technique based upon combining lots of tiny glass mosaic pieces and manipulating them by hand and in the furnace results in pieces that are unique, colorful, and mesmerizing. 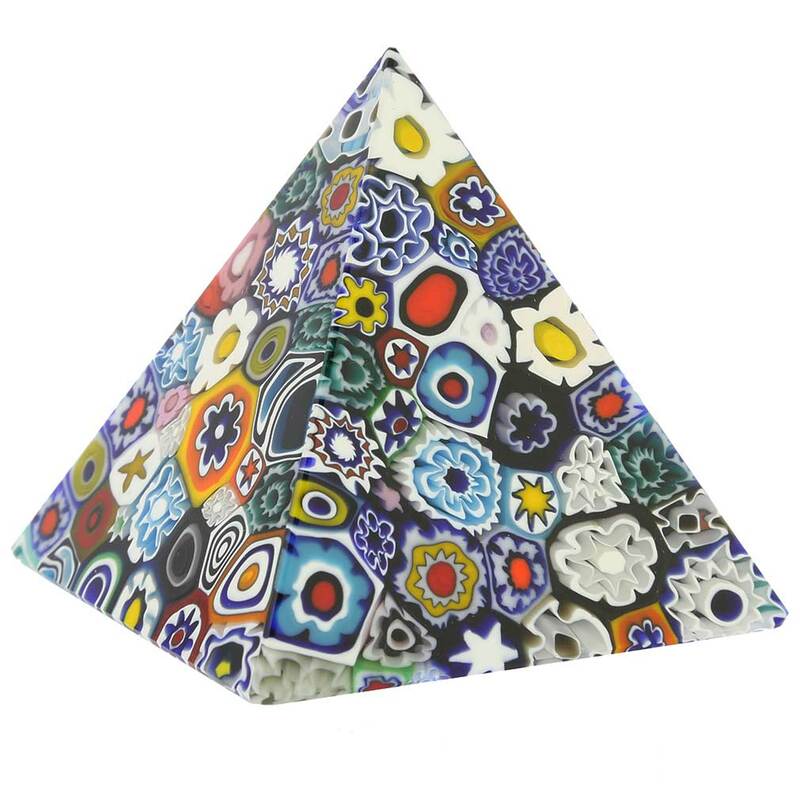 This fine Pyramid featuring lots of colors and intricate shapes on each little Millefiori piece was crafted entirely by hand in a family workshop on Murano island, which has been specializing in Millefiori for decades. 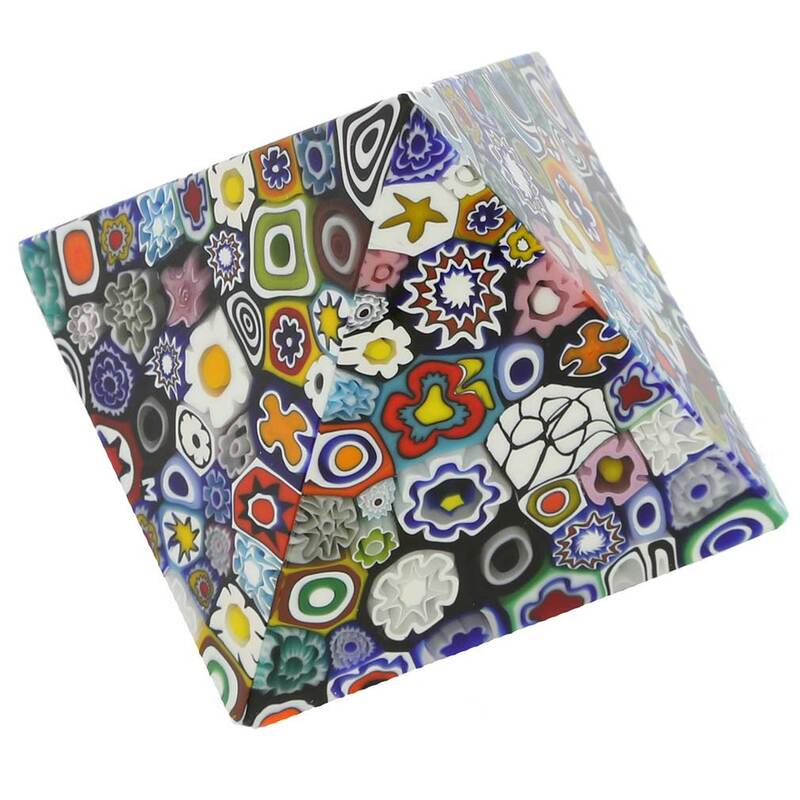 This beautiful and timeless Murano glass sculpture will be an instant conversation piece in your home or office, and can be used as a decorative display piece or as a functional paperweight. It makes an amazing gift to a special person in your life, who will no doubt appreciate its artistry and fine craftsmanship, and treasure the special bond with Venice. 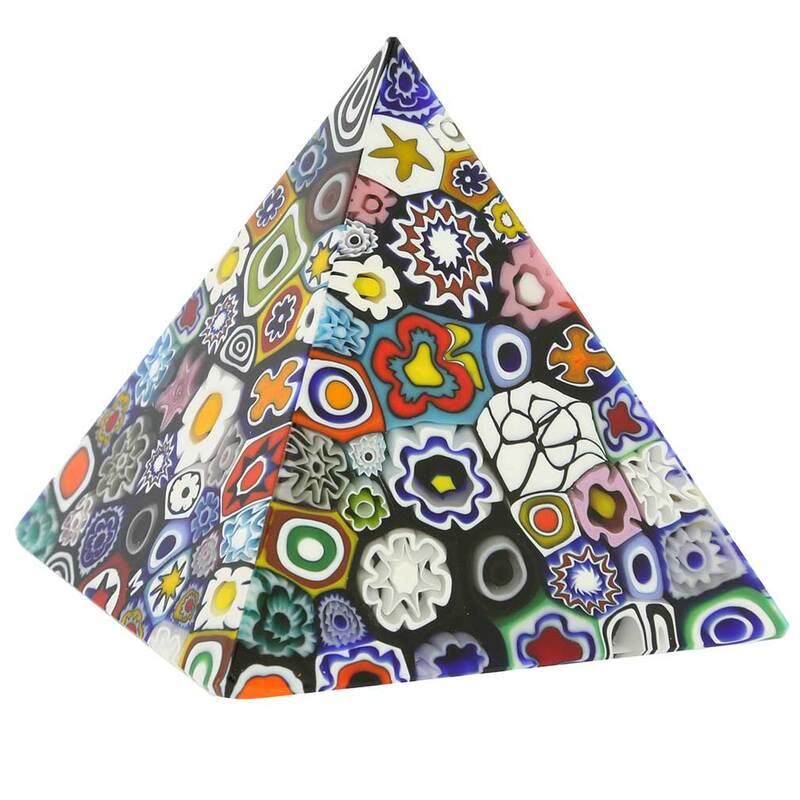 The pyramid paperweight is created by a master from a well-known Murano glass-making family using only traditional techniques and tools. It comes with the certificate of authenticity. I love it! The pyramid is beautiful and in excellent condition. It arrived promptly and with such heavy-duty wrappings that nothing could have happened to it in transit. The view from each side displays lovely, colorful flowers. This wasn't my first order, and it will certainly not be my last. Did I say "I love it" before? A truly beautiful work of art.